On May 17-18 The FADER will host a stage at The Great Escape, the U.K. festival renowned for hosting the best new artists and championing rising stars. We’ll have 12 unmissable artists performing across two days at Brighton Centre, including some of our favorite U.K. talent. The following day, Friday, May 18, will be headlined by rising singer-songwriter Yellow Days alongside Hak Baker, Trillary Banks, Towkio, K Trap, and Gaika. 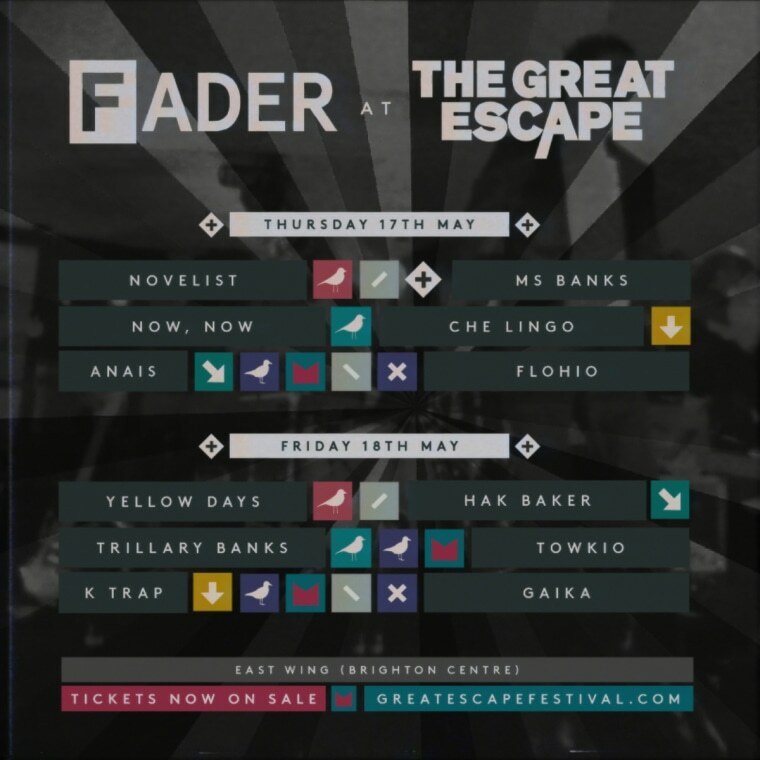 Buy The Great Escape tickets here and keep checking The FADER for further coverage.